The Department of Public Benefit at the Ministry of Labor and Social Policy is responsible for establishing the right conditions for the development of non-governmental organisations and other entities operating in the area of public gain. It also sets the conditions for the development of the social economy and voluntary services in Poland, as well as for cooperation between public administration and the third sector. The Department of Public Benefit is responsible for the implementation and promotion of solutions adopted in the Act of Law on Public Benefit and Volunteer Work. Moreover, the Department of Public Benefit is responsible for creating legal frameworks for non-governmental organisations development as well as other entities conducting public service activities. It is in charge of supporting the development of voluntary work, and for the cooperation of public administration with the third sector. Jarosław Duda (b. 29 June 1964 in Wrocław) – sociologist, Secretary of State in the Ministry Of Labour and Social Policy, the Government Plenipotentiary for Disabled People, Chairman of the Board of State Fund for Rehabilitation of Disabled People, Senator during the seventh term of the Senate, the upper house of the Polish Parliament. Jarosław Duda graduated from the Faculty of Social Sciences at the Catholic University of Lublin. In years 1983 – 1990, he was a co-founder of the Faith and Light Society in Poland, an institutionhelping mentally disabled persons and their families. From 1993, he was a director of the Voivodeship Social Assistance Complex in Wrocław. In 1999, he became a director of the Department of Social Issues and Healthcare of the Lower Silesian Voivodeship Office in Wrocław. From 1999 – 2004, he was a councillor of the Voivodeship Council (Sejmik) of Lower Silesia. He was also the chairman of the Social Policy and Family Committee and a member of committees for Tourism, Recreation and Sport Development, as well as Social Policy, Healthcare and Family. 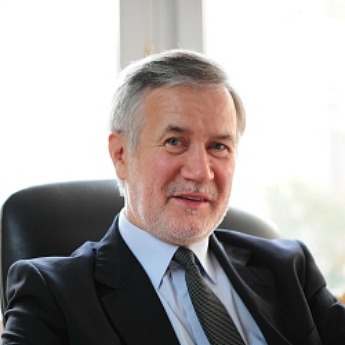 From 1999 – 2001, he was the Vice President of the Board of the State Fund for Rehabilitation of Disabled People (PFRON) in the government of Prime Minister Jerzy Buzek. In 2001 – 2004, he was the director of the City Administration for Residential and Nursing Homes in Wrocław. He was a deputy during the fourth and fifth term of Sejm, the lower house of the Polish Parliament. Jarosław Duda is married and has five children. 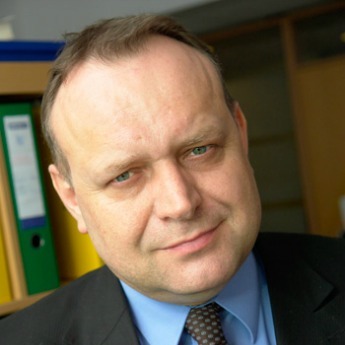 Krzysztof Więckiewicz is Director of the Department for Public Benefit in Poland.